As already stated on the front page I’m not called Pollyanna and I’m not a penguin. My husband and some friends call me Penguin though, and the Pollyanna part relates to my ongoing attempts to play ‘the glad game’ with regard to RA. (Blogging community friends now mostly call me Polly!) Am I glad I’ve got it? Don’t be silly. But there are still plenty of positives to talk about … and when I’m having a negative moment I can come back to my blog and remind myself of them! I’m forty-nine I’m female and if you’re a doctor and know the three f’s that relate to gall bladder problems, I’m the other f too, a bit. I don’t have gall bladder problems though … I do have rheumatoid arthritis (henceforth referred to as RA because I can’t spell it). I was officially diagnosed in February 2008 but suspected it since a ‘rheumatoid factor’ test (RF) came back positive in December of 2007, after I’d been suffering odd aches and pains in my hands, wrists and especially elbows for about a month. As I do a job involving a lot of typing I jumped to the carpel tunnel syndrome conclusion, but the doc said the symptoms weren’t right. She said while it was very unlikely, it was worth being tested for RA. To both our surprises the RF test came back slightly positive – I say slightly advisedly. My consultant tells me that people suffering from severe RA can have an RF figure in its thousands. Normal is zero to twenty – but most people are closer to zero than twenty. Mine was something like 25. My immediate reaction was that surely that doesn’t really count – I was wrong! I’m ridiculously happily married with a cute black cat and no kids (entirely by choice on both our parts, and I suspect I could say all our parts and include the cat). I live in Norfolk, UK and I run a small business. My name is Alexandra Snyder; I am the Content Editor at HealthCare.com. I’ve been reading your blog, Pollyanna Penguin’s RA Blog, and was really impressed by the content. I would like to invite you to syndicate your blog with our site. We have a growing community of bloggers, health care seekers and care providers, and are one of the top online health communities in the U.S. We currently receive millions of visitors each month! By syndicating your blog to our site you will expose your work to the millions of users in our network and each post is featured on our home site. This is a great way to increase traffic for your existing blog/site and gain notoriety. Best of all, it’s simple, no need to write a separate blog or leave your current platform. To feed/import your blog, you will first need to create a new blog account with us. This is done by clicking “create my blog” from this link: http://blogs.healthcare.com . A request will be sent to me and it will be put in queue for approval. Once approved, an activation email will be sent to you, simply click the link and follow the import instructions found (here). If you run into any problems, please refer to our FAQ page or email me. Hello! I just turned 40 and was just dignosed with RA too. We are trying minocyclene therapy first becasue I am too chicken to do methotrexate off the bat. And I just can’t imagine not drinking! My rheumy said if insurance would agree to it she would put everyone with sereo positive RA on one of the biologics from the get go. I am still in the scared stage and figuring out what this all means to my life. I am so happy to find something that isn’t doom and gloom. I have a high RA factor but so far my inflammation numbers are very low so I am kinda a mixed bag. I’m in Denver in the US. Hi Melissa, Sorry you’ve got this horrible thing, but I really hope the minocyclene does the trick for you. I think everyone with RA is a mixed bag in one way or another, in the sense that no two people actually seem to have the same symptoms! As to mine, they keep changing day by day – baffles the consultant. ;o) It’s so hard to figure out what it means to your life – but hopefully it’ll been a short blip while your rheumy gets it sorted out and then you’ll be OK! I have rheumatoid arthritis too. I was diagnosed at the age iof 24, 16 years ago. Each day is a challenge and yet I am grateful for any mobility I have. 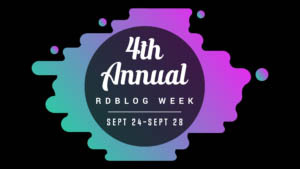 I enjoyed reading through your blog and hope you will join us for Invisible Illness Week Sept 14-20. We are in need of guest bloggers and then will also have a 5-day virtual conference w/ 20 speakers. I also just began a new social network called Illness Twitters at htp://www.illnesstwitters.ning.com . Thank you for all you do to help bring more awareness to chroic illness and all that it entails. Im commenting because I love people who try to stay positive!Thats what i struggle for..My worst fear is loosing my positive attitude!! !I hope we can keep in touch,I also love UK! I am working with NRAS the National Rheumatoid Arthritis Society to organise and promote a series of 10 UK based events helping those with RA to keep working. We are looking to publicise these events online. I found your blog via Google, and thought you may like to help – as you have a group of regular followers all of whom have RA, and I think would find this really useful. The workshops will be held in: London 24th February; Bristol 10th March; Cardiff 11th March; Manchester 18th May; Birmingham 19th May; Nottingham 20th May; Glasgow 22nd June; Londonderry 23rd June; Portsmouth 7th July; Reading 28th September. Registration is happening now and make sure we can fit everyone in a room. To do so, or to find out more, we can be rung us on 0845 458 3969 or visited http://www.nras.org.uk to register online. I have pdfs of the flyer for all the events, and the poster for London where the first one is on Wednesday night. Can you help? We are nearing the first one, have promoted this in hospitals, through NRAS but really want to pack the room with people who can benefit from this. People like your readers. Hi. I was diagnosed with RA in 2007. I had a flare in my left hand at the joint near my wrist above the thumb. I was in excrutiating pain and could not use my left hand. I went to my GP that day who in turn referred me to to a rheumatologist. I was diagnosed with severe RA. I began with 5 methotrexate pills (taken all at once , once a week). That didn’t work and I was increased to 7, then to 8. Still no results. The doctor then added Remicade IVs to the recipe – every six weeks. My liver functions began to elevate and by the 4th week after receiving the IV I was in flare ups to the point I could barely walk, never mind sleep. I begged God to take me. My Rheumatologist then took me off the Remicade and started me on Rituxan (still taking methotrexate. This drug works! Thank God. I felt that Rituxan saved my life. I still take the 8 methotrexate pills every Wednesday, but I only go in every six months for my Rituxan IV. I have a friend that has RA and she will not take these meds because she is afraid of the side effects. I’ve had no side effects from my current treatment and will do anything to fight this disease as I do not want to become a cripple even if there are mild side effects. If anyone out there has any doubts about Rituxan, please, please reconsider, because it really has helped me considerably. I feel strong again, I feel very little or no pain and I have a new outlook on life. I have a life now. I just painted my living room and bedroom and it didn’t bother me in the least. Hi Marikay, Glad you’re enjoying the blog. I did know about the heart disease thing – one of my friends ‘helpfully’ pointed it out when I was first diagnosed. I’m part of a cardiac study to see if people with RA are statistically more at risk than the general population, which means I get tested regularly and if I do have a problem there at least I’ll know about it! Very glad Embrel’s doing its job for you! I know there’s not yet a ‘magic pill’ but Embrel does seem to be very effective for a lot of people. THANKS for such a positive Blog. I read a few of the different blogs out there and it seemed like so many were so negative. I am 57, was diagnosed with RA at 19, have had over 40 surgeries (multiple replacements), walk about 2 miles a day now (could not always), 2 sons, 2 granddaughters, awesome husband, supportive family, and have managed to keep on going. The most important thing I learned over the many years living with “Arther” is a positive attitude is 1/2 the battle with this disease. The second is acceptance. I have had many ups and downs through the years but seeing good in everything has also helped me get to where I am. I live in TX and it is heartwarming to read about someone else who has found the magical secret that staying positive is a powerful medicine in its self. Hello Pollyanna, my husband is 34 and has had aggressive RA for a year now, which has turned our lives upside down. We have been looking for local support sites or just something that a young man with RA can relate to but there seems to be very little out there. I know that statistically it’s more likely to be women who develop RA and there is quite a bit out there on the web but it’s never something he can relate to – the loss of his position as provider for our family and the loneliness of spending day after day at home whilst putting a brave face on to me and the kids. Do you know of anything that sounds like it would be suitable? I’m encouraging him to start a blog, I think it’s a great idea and I will be following yours with interest. Have you (or your husband) come across ‘RA Guy’s blog? It’s superb and it is one of the very few blogs that I know of by a young man suffering from RA. Alas, not local – RA Guy is based in South America, but it’s still a fantastic site. I have to confess my blog has been let slide a bit lately – RA behaving itself and too much other stuff going on, which is good. There was a time though when I really felt RA was taking over my life and having the blog really helped. The other thing you should really do if you haven’t done so already is join NRAS – the National Rheumatoid Arthritis Society. They’re brilliant and they’ll put your husband in touch with someone he can get telephone support from, probably locally. They might well be able to find a male volunteer to talk to him too. They also have various local support groups across the country – though they will be largely female, inevitably! A British blog by a young man with RA would be great – in fact NRAS might even get him to write articles for their magazine, given the general lack of support around for men! Hi BJ, and welcome to the exclusive club of RA sufferers! Well first I suppose I should say I’m no medic, so these are just my thoughts and opinions, but OF COURSE you’re worried and a bit depressed. Who in their right mind wouldn’t be? 🙂 However, it’s great news that the mesd are working for you! You’re on the same bunch as I am, by the sounds of it, and most of the time they’re working for me too. I always bang on about this, but to my mind the most important thing to remember when looking at blogs or reading leaflets or talking to the medics, and especially talking to friends and relatives, about RA, is that EVERYBODY IS DIFFERENT! Just because you read somewhere that someone has flares every few weeks, doesn’t mean you will. Just because some people suffer side effects to methotrexate doesn’t mean you will etc. Flares are not inevitable – they might be if you weren’t on the meds, but if you get the right dosage then you could go without flares for years or even for ever! first… i noticed you are reading SCARLET… LOVE that book!!! and then i realize you are in the UK.. I’m a BBC masterpiece “junkkie” and love all things past and especially british!!! I live in a retirement comm. in MA (USA) and i’m so lucky that DH moved us here.. check it out if you want…. http://www.oakpointhomes.com! As you know, May is national Arthritis Awareness Month. I invite you and your blog community to participate in an important national survey being conducted this month by Flexcin International, available by clicking on this link https://www.surveymonkey.com/s/flexcin. A proceeds sponsor of the Arthritis Foundation, Flexcin will reveal results of the survey for Arthritis Awareness Month in May. The survey is open to anyone suffering from any form of arthritis, Osteoarthritis, Psoriatic arthritis, RA, gout, joint pain, lupus or other joint-related pain, illness or disability. The purpose is to get a better picture of how aware other people are when any number of family members, friends or co-workers have arthritis or a joint pain-related disease. The twelve-question survey will help paint a picture between men and women coping with arthritis, and the level of support they receive on any given day. Please feel free to blog about the survey. Let me know if you’d like a copy of the results in early May. We are interns at the Arthritis Foundation, Northern California Chapter and we are very impressed by the content of your blog. We are doing a summer project in order to increase Arthritis awareness and advocacy. If you are willing to answer a few questions for us regarding your experience with Arthritis, please email us at afncintern@gmail.com. Thanks so much for your time! Thanks for the bright smile. I too have RA and can’t spell it either. Thank god for initials. I also have MS. I am waiting for the next initial disease to hit me. Makes life easier, but you would not believe the people who don’t know what RA is nor do they know what MS is. Hopefully they will remain blissfully unawakened. Thanks for the blog. I truly like it. I am 66 so I am much your senior, but only found out I had RA this year (2011) and MS in (2004). Oddly enough I think my meds for RA are also helping my MS. But the MS shots are sooooo expensive. Once again thank you. Oh I would believe it all right when it comes to people not knowing about RA or MS. It’s frustrating when you’re trying to explain, and the big frustration with RA is the old ‘It’s NOT THE SAME as osteoarthritis’ thing, but I really like the may they ‘remain blissfully unawakened’ attitude. 🙂 Very glad you’re enjoying the blog too! I work for JMGlass, a marketing company offering a variety of products benefitting those suffering from arthritis. I would love to partner with you to advertise our products on your blog, and possibly send you a complimentary giveaway. Please provide me with a contact email address. Hi Ramona, thanks for your interest but that would be a no. My blog is not about providing free advertising, even with the enticement of a ‘possible complimentary giveaway’. It seems good information about a rare form of arthritis called palindromic rheumatism is hard to come by, but I’m hoping some of your readers and bloggers can help put that right. I’m doing some work for the charity Arthritis Research UK, which wants to develop information materials to help people with palindromic rheumatism manage their condition. As a first step, we want to talk to people who have been diagnosed with the condition. It’s characterised by unpredictable flares of pain and swelling in joints, which return to normal between attacks, and can have life-changing implications. As you rightly say, everyone is different, and with so little research into palindromic rheumatism, we want to hear at first hand what it’s like to live with it, how it affects people and what their experiences of getting a diagnosis were. We’d like to invite anyone among your contributors and readers who has palindromic rheumatism to take part in a survey between April and July 2013. All they have to do is complete a short online questionnaire at http://www.arthritisresearchuk.org/palindromic. If they agree, we’ll then contact some by phone to hear their palindromic rheumatism story in more depth. Meanwhile, thanks for the very positive blog about RA. I wanted to get in touch because I think you might be interested in an interactive web page we are currently working on to raise awareness for RA. Because it is Arthritis Care Awareness Week very soon (13-19 May), I believe this would go really well on your blog, and be of great interest to your readers. Our infographic will be visible on a web page which we will share with you once completed. We have a teaser snippet of the infographic to give you a first viewing so let us know if you want us to send that over! You are more than welcome to embed this on your website as well. We hope you help us in raising awareness for RA and spread the word! Let me know if you would like any more information. I look forward to hearing from you. I stumbled upon your blog and would appreciate any help in getting in touch with RA sufferers. I work for a small UK company that manufactures a cooling bandage. We are receiving increasing feedback from RA suffers who are using our products to reduce inflammation and pain. I would like to give away free product in return for feedback and have attached a link to a testimonial we received from the son of a lady who uses Physicool to reduce her pain and inflammation: http://www.physicool.co.uk/injury-guides/arthritis/. Please do get in touch. As a first step I am happy sending a bandage to you to use and trial. Congrats on your best Healthline blogger award for best arthritis blog! Hi Polly, it’s Ian here from Physicool. I replied to your email but have heard nothing back. Did you receive my message? Please get in touch (ian@physicool.co.uk). Hi Ian, sorry about that – don’t know where your message went but I’m glad we’ve now managed to communicate on email and I have a Physicool sample to try out and review. Thank you – looking forward to trying it! Hey, I’m Emily and I’ve had RA since I was 15 but went undiagnosed for ten years for complicated reasons. I’m 28 now, and it’s aggressive. Just wanted to say hi. Congratulations on your blogger award! a rant… I absolutely hate how some practitioners still rely on the old “the higher the RF, the worse the disease”. It’s not accurate. There is a decent chunk of people with RA who never, ever even have any RF show up in abnormal amounts. RF’s not the glory diagnostic standard anymore. I have aggressive, disabling, severe RA. I’m in that chunk of people whose RF is normal. My other labwork? Not normal. The RF? Fine. RF can show up abnormal in people who do not have RA, either. It’s a marker, not a holy grail, and doctors still relying on it fully… well, that ends up hurting a lot of people and delaying diagnosis. Hear hear to the RF rant – couldn’t agree more. At least your other bloods show something – luckily my RA really is mild but even mid-flare I don’t usually have ANYTHING show up in the bloods at all – and my RF is TINY to non-existent. I only got diagnosed at all because it was JUST raised above normal when I first saw my consultant! I was only diagnosed 3 years ago. My RA, though, started as JRA at 15 we figure from all the symptoms and progression. Every dr just brushed it off as pain from my depression, so it went undiagnosed and untreated for 10 years. Back when it started, it was mild. I wish they had caught it when it was mild, and started treatment, before it blew up in my face and got to where it is now. I’m so glad that you were able to be diagnosed and get on the road to treatment and making sure it doesn’t get any worse than it already is. Even mild RA is pretty awful! Depression is definitely a double curse – once for just existing one another time for the effect it has on doctors of masking physical illness! I have a friend who nearly died from something as simple as gall stones because she also had depression and the docs had the same attitude as they did to you, Emily. It was only when the gall stones started to move and it turned into full-blown acute pancreatitis and she was admitted to hospital that anyone admitted there was a physical problem! RA is notoriously difficult to diagnose in any case – but i’m really sorry it took them so long with you! Hi Liz, It’s not for me as my arthritis is under control anyway at the moment (thankfully), but I’m happy to put up a post about it if you or the researcher would like to write one that I can then post for you – or if you haven’t already, you could try contacting Helen at Pens’n’Needles, who’s based in Canada – she’s on my blog roll. Thank you for all the work that you and your blog do for Rheumatoid patients. I’m a chronically ill epatient working on HealClick, a website matching patients with similar conditions so they can share relevant treatments and experiences. I’d love to talk with you about the possibility of working together. Feel free to email me directly at Rachael@HealClick.com. Are you able to contribute a tip or two, Polly? I would love to run your quote along with your photo. I am looking for self-care tips that you do that I can tag to some point of the day: Upon waking up, breakfast, mid-morning, Noon/lunch, afternoon, dinner, evening, bedtime, while sleeping. The only caution: I can’t include anything about medication. Thanks, Polly. I look forward to hearing from you and do hope to include your comments. Once the guide is printed, I’m happy to send you a PDF and, if you’ll send me your mailing address, hard copies. If we put it on our web site, I can send you a link you can put on your blog, if you like. PS – Great blog! And sorry to call you Polly! I’ve just been diagnosed with RA, I’m 36 (and a half!). So far I’m just on prednisolone and I feel like a million dollars but I’m afraid of what’s to come because I don’t know what to expect. I’ve joined the gym, I’m working out regularly, I’m eating really healthy, I’m staying really active and positive but I’m reading about all these horrible side effects of the Prednisolone and I don’t know what to do to help avoid them, or if that’s even possible. I know over the course of the next couple of weeks my dosage will reduce but how much of this prednisolone must you be on to put up all that weight? And I’m feeling really positive and focussed now but what if I start to feel depressed and I lose the motivation? I just don’t know what to expect and no one seems to be able to tell me. Hi Trish, sorry to hear you’ve just been diagnosed with RA – and at almost the same age as I was. You haven’t said when you started on the prednisilone but if it was really recently then it sounds to me as though you’re on a short ‘taper’ i.e. you go on it for a relatively short time (a few weeks) and gradually taper off. If you’re coming off it your consultant will probably want to see that it has worked, to confirm the diagnosis, and then start you on something more long-term, like an NSAID (non-steroidal anti-inflammatory). It’s very unlikely that you’ll have ANY significant side-effects from a short bout of pred, but you’re doing all the right things anyway! Good luck with it all! I was diagnosed at the tender age of 13 with a very severe case of RA in my entire body. As you can imagine, at the time, I thought my life was over. It’s easy for us to sit around and wallow in our own self-pity and be mad at the world because ‘what did we do to deserve this?”. I, like you, have developed a more positive outlook over the years and now, 15 years later, I can say with pride that I celebrate by Arthritis-versary every year by marking something off my bucket list. I’m not glad I have this crazy disease (who would?) but I wouldn’t be the person I am today if I didn’t. Thanks for sharing your story and blog. Tanya apart from your positive attitude what else did you do to improve your arthritis? My RF factor was 16! My consultant said it just goes to show the massive variations involved! Sounds like you’ve got a sensible consultant there Jude! Yes thank God, because my GP didn’t even want to refer me! Arrrgh! Hi (not actually called) Polyanna!. 🙂 So great to see people blogging and helping each other out in this worldwide autoimmunity epidemic! Please bear with me if you don’t know me… I am not selling anything or taking advantage in any way. I suffered horribly with psoriatic arthritis and other autoimmune issues, but rejected medication and decided to go my own way with it, studying and experimenting for years until I succeeded in reversing it. This book is my story from diagnosis to success with all the crazy wrong turns and magical discoveries that happened in between (with a foreword by well-known neurosurgeon and biohacker Dr. Jack Kruse). I’d like to just let you know that it is FREE on Amazon Kindle for the next three days from the 26th, so if you’d like a copy, go and grab one. I really hope that my story inspires, and if you’d like to leave an honest review, I’d be very grateful. Link below to Amazon US, but it is available in all territories. Love that you are sharing the story of your experience with Rheumatoid Arthritis. And I love your outlook and sense of humor, I think it is too easy to overlook how big a role overall mentality plays a part in any bodily condition. Have you had any experience with taking Turmeric to try and reduce inflammation from RA? Our company http://www.turmericvitality.co.uk/ specializes in turmeric for this purpose. Hi Tammie, two good ones for an overall view are Healthunlocked which is a sort of forum run by National Rheumatoid Arthritis Society (NRAS) in the UK, and rheumatoidarthritis.net which is mostly US and is a collection of blogs from all sorts of individual bloggers who either post only on their or post and link from their blogs. Then of course there’s all the sites on my ‘blog roll’ in one of the bars to the right,although it’s woefully out of date! Happy reading – and don’t get down reading about the awful problems some people have – they truly are awful but also sometimes inspirational – and we’re all different! Hi ‘Pollyannapenguin’! My name is Rhona and I’m a 3rd year Product design student at the Glasgow school of art doing research on sufferers of forms of Arthritis for my 3rd year project. I would love to get in contact with you to ask you some questions for my research, would this be at all possible? Please let me know ASAP at my email address!